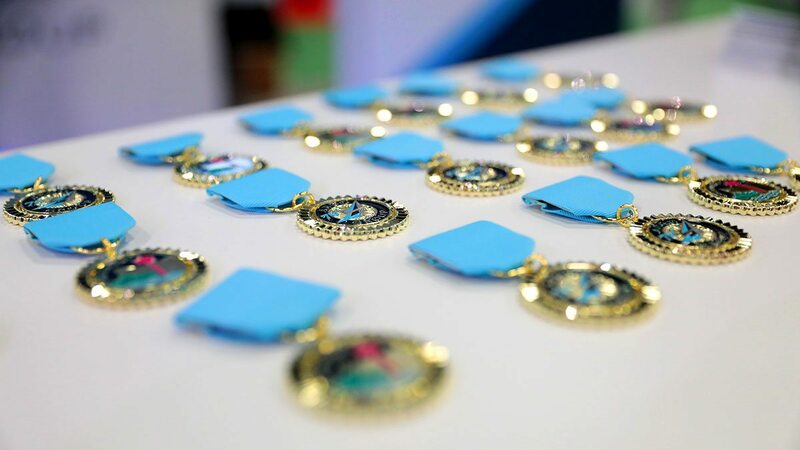 As thousands of risk managers converged on San Antonio for RIMS 2018, companies came up with some particularly creative ways to attract attendees to their booths. 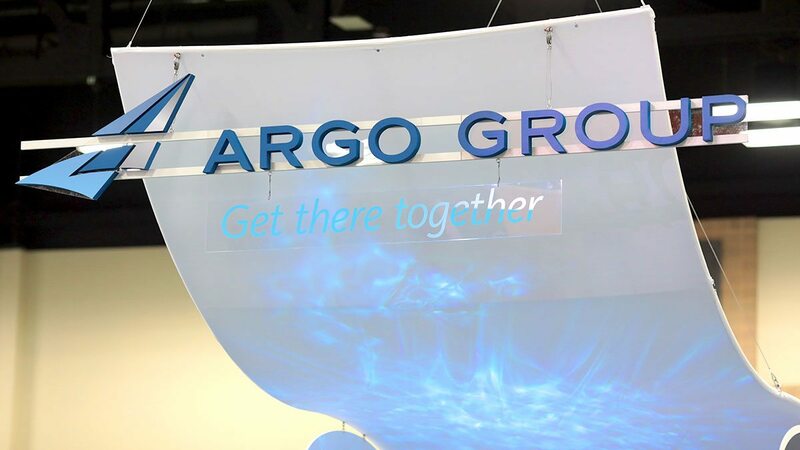 Argo Group was no exception. 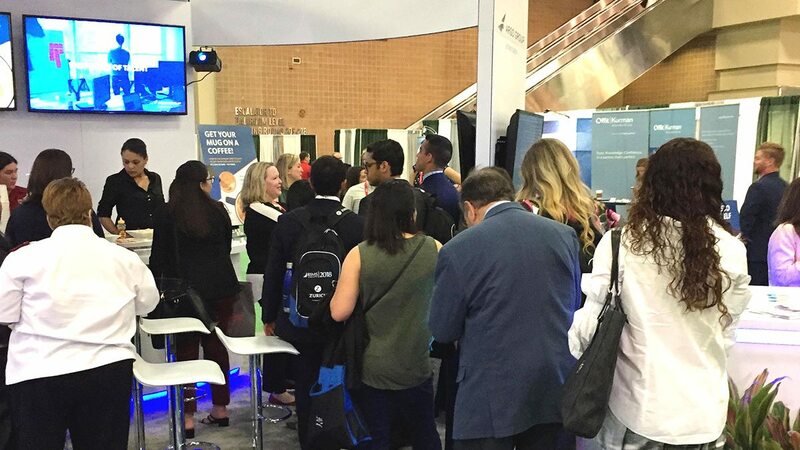 Visitors to Argo Group’s booth lined up for coffees with their selfies printed directly on the foam. 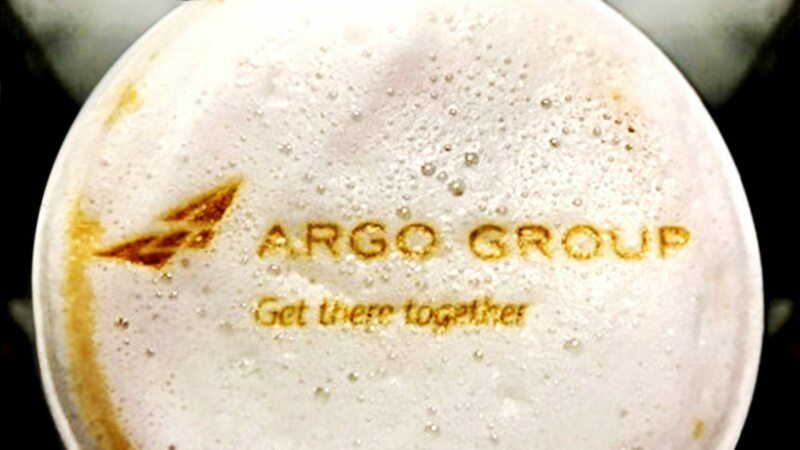 Argo whipped up hundreds of the cappuccino portraits on the first day of RIMS alone – much to the delight of those charmed by the chance to sip their mugs while learning about the future of insurance. Some shared their foamy photos on social media. 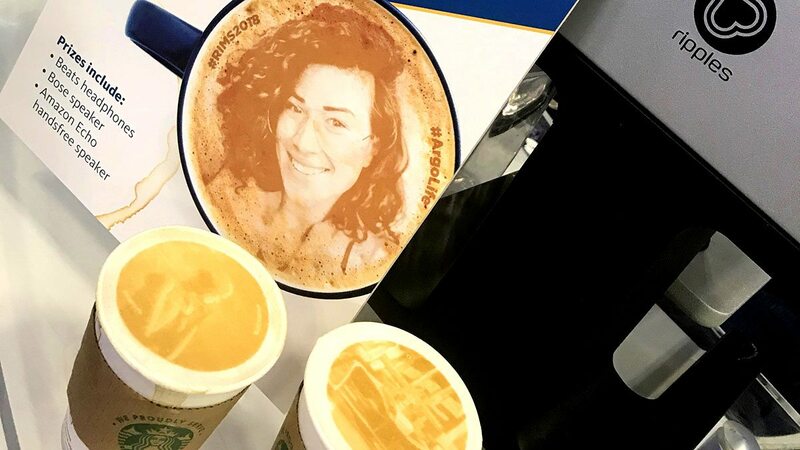 “So @argo_group just put my face on my latte! #argolife just won #rims2018,” tweeted @mattzzman. 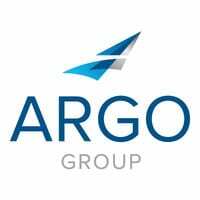 Argo’s presence at RIMS extended well beyond its brew. Argo Group CEO Mark E. Watson III introduced keynote speaker Alex Sheen, founder of the nonprofit “because I said I would.” Watson also shared his vision in “The Speed of Today,” an Innovation Hub talk on how the insurance industry can best respond in today’s rapidly changing world. 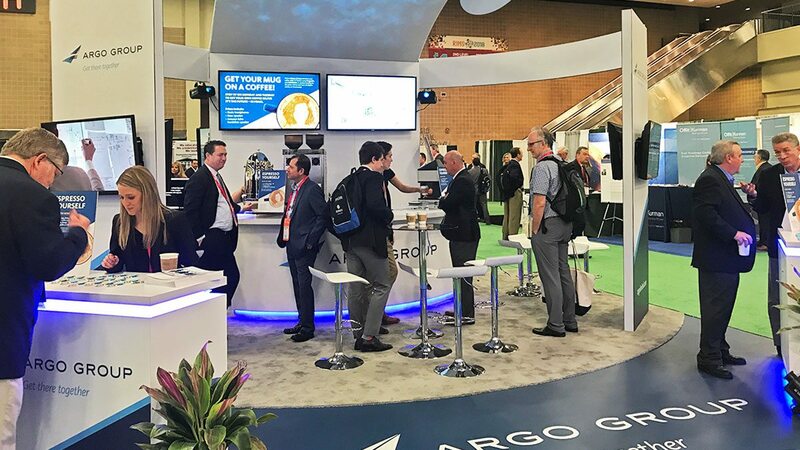 At Argo’s booth, President of Argo Insurance – U.S. Grocery and Retail Rooney Gleason offered demonstrations of Argo Risk Tech, an app designed to reduce employee and customer accidents for restaurants and supermarkets with real-time inspection logging, issue reporting and first notice of loss functionality. 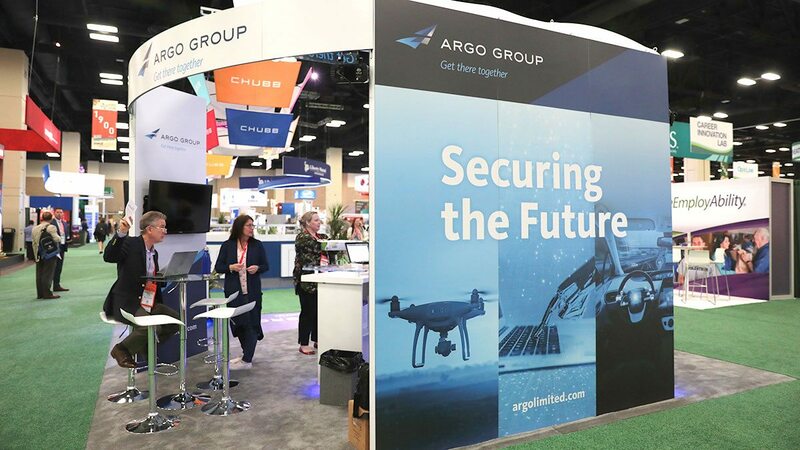 Rich Edsall, commercial senior vice president of underwriting at Argo Pro, who discussed steps directors and officers should take to mitigate data breaches. Bob Marinelli, risk control manager at Trident Public Risk Solutions, who gave a presentation on liability issues facing public entities that send tactical medical responders on SWAT operations.